Treat yourself to something truly decadent with this epicurean experience from Grace Kennedy Events. The Mandarin Oriental at Hyde Park has long been regarded as one of London’s most prestigious hotels, and after its renovation this hotel has reached a whole new level of luxury. Nothing is more quintessentially British than afternoon tea, so why not enjoy a delicious take on the tradition with our help? One of the most fashionable destinations in the capital, The Rosebery Lounge at the Mandarin Oriental combines the vibrant, contemporary energy of modern London with the timeless appeal of clean luxury. Ideal no matter the season, this sumptuous venue is the ideal place to indulge in an afternoon of treats and fancies and boasts a wide tea selection featuring specialist blends that have been gathered from locations across the world. The venue’s dedicated Tea Master is a genius when it comes to flavours and has created a wide array of bespoke blends that echo the rich heritage of the hotel as well as the commitment to quality that makes the establishment such a must-visit location. This enticing array of teas is matched with a complementary selection of delicacies created by the hotel’s experienced team of pastry chefs, and the whole menu balances innovative flavours with timeless traditions, making sure that no matter what your tastes you’re guaranteed to enjoy. Alongside this culinary temptation, The Rosebery lounge also transforms in the evening into one of the sleekest places to enjoy the city nightlife in the evening. Live soul, funk, swing, jazz and blues music sets a perfect soundtrack to a sophisticated evening out, and with the lounge’s array of cocktails you’re guaranteed to have a night to remember! 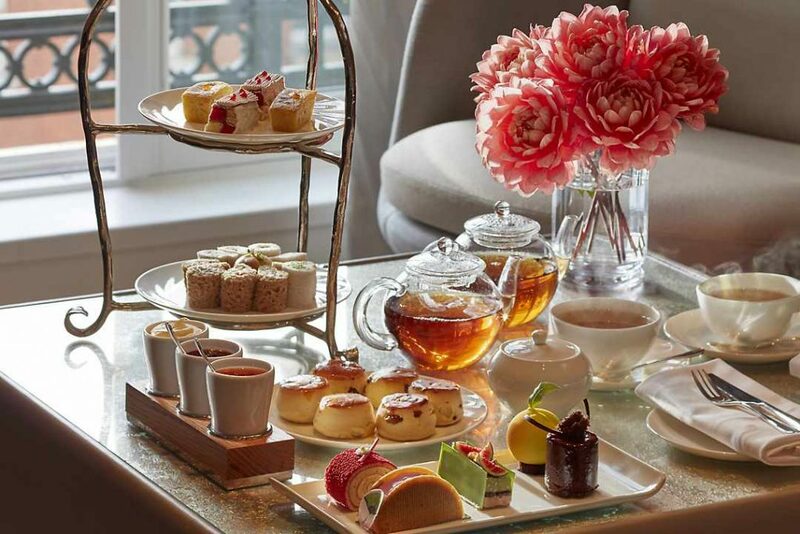 For more information about afternoon tea at the Mandarin Oriental, or to book your place to enjoy one of the nation’s favourite pastimes in a stunning location, please contact us on 0207 499 3345.